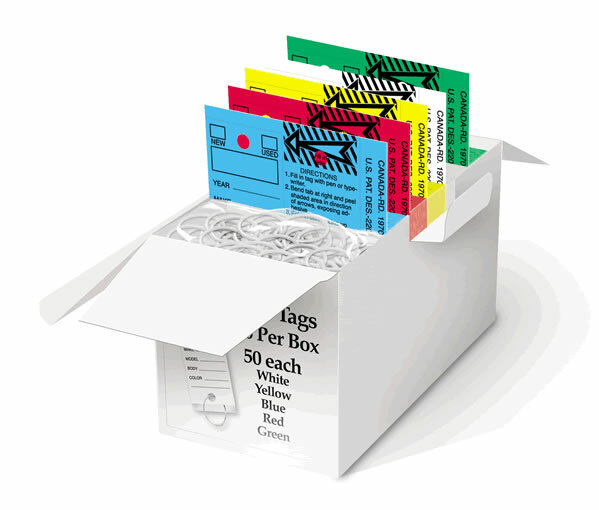 Pkg: 250 Versa Tags per box in mixed colors (50 each of Yellow, White, Red, Blue, and Green) which includes 250 split metal key rings. COMPARE OUR PRICE to Great American Automotive Products and Sid Savage Auto Dealer Supply. 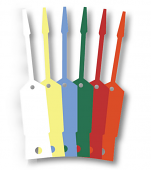 They both sell imitation Versa Tags for more then we sell genuine Versa Tags … American's Price is 250 @ $45.00 (SKU #BFA200) and Sid Savage Auto Dealer Supply's price is 250 @ $27.60 - F4300. Efficient, Excellent, and On time!! Website was easy to follow and I was able to find exactly what I wanted. Check-out quick and easy. Shipment was here in no time.